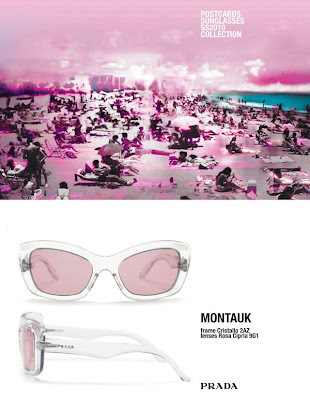 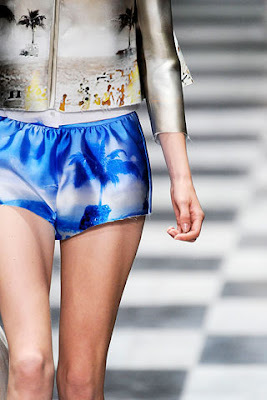 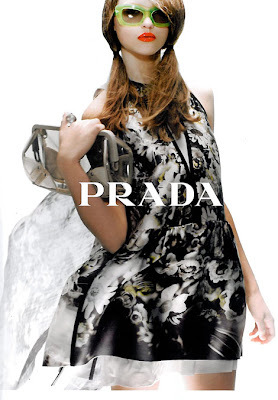 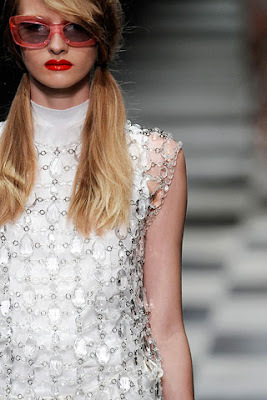 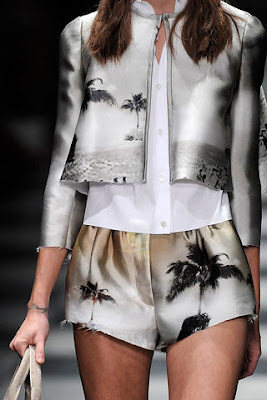 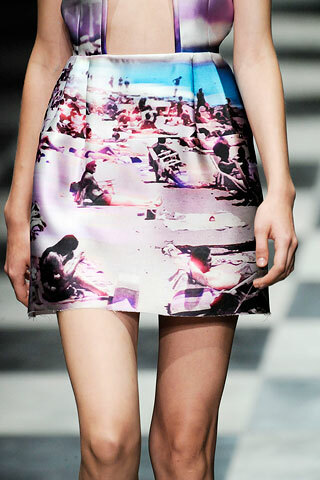 One of my favourite collections for this Spring/Summer 2010, is the Prada runway collection. 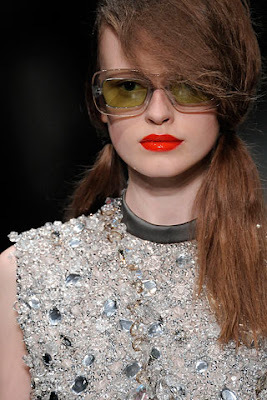 I particularly like how the hair and make up is styled. 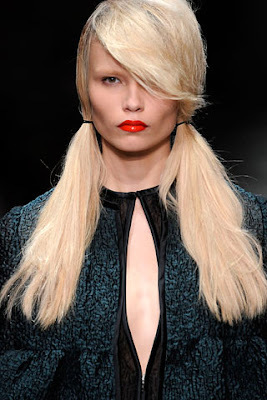 With volume straight long hair, side parted and tied into bunches. Teamed with vibrant coral lipgloss, and bright oversized sunglasses. 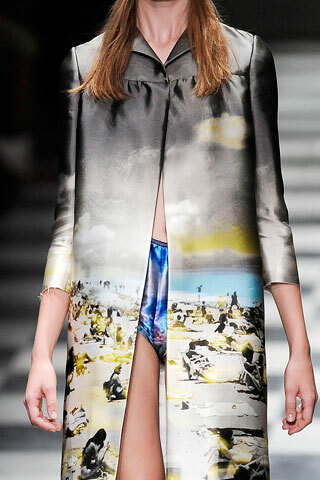 I appreciate as well the silk printed imagery of people on beaches on to simple loose fitting seperates. It is a sophistcated beach look. 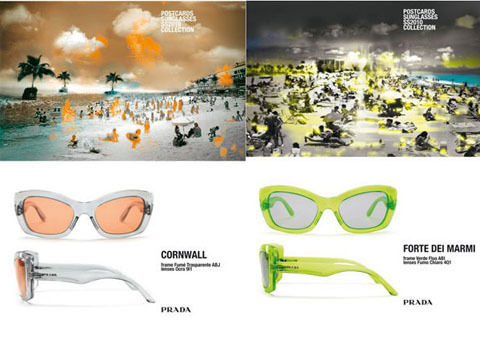 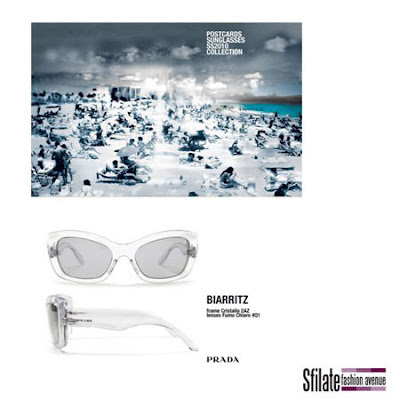 On the prada website, there is a short fashion film titled, 'Postcards Audio Tale'. 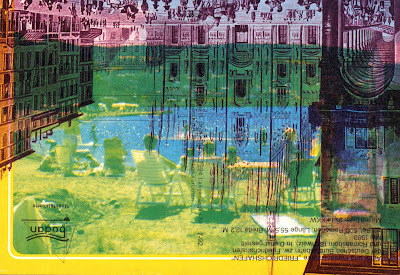 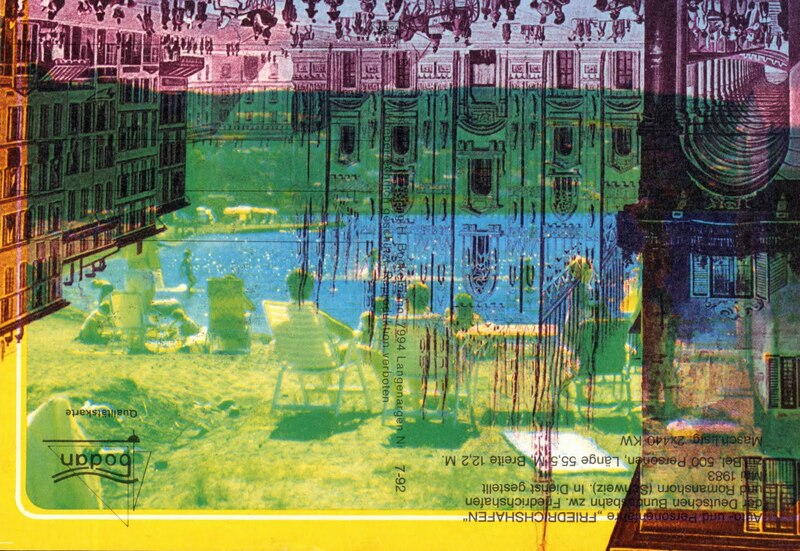 This film shows a model wearing the postcard design sunglasses her head rotating, in time to the speech about different hoilday locations. 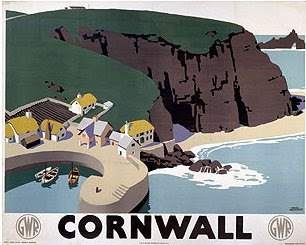 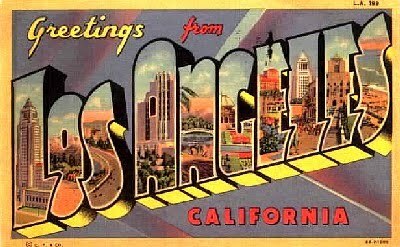 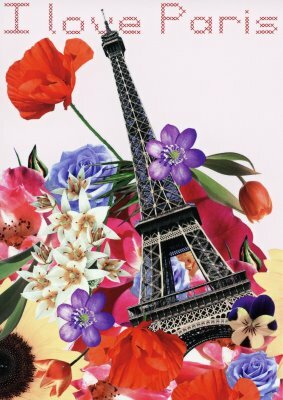 I have found some images, of vintage style postcards of the places that the film mentions. 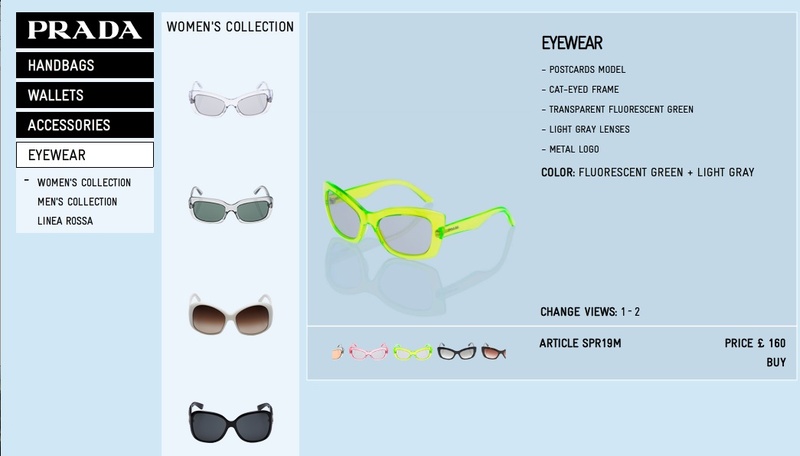 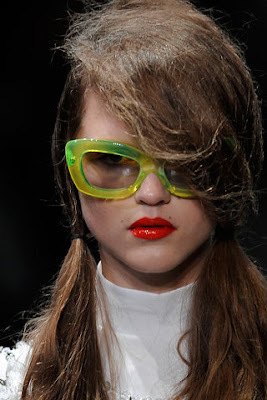 If I was to buy one item from the collection it would be the lime green postcard sunglasses.